This is one of the important concepts of it. Leads or Customers? Now let me explain, just in case. A lead is a potential customer who has given you permission to market to them, who could become a customer. They are in your target market. Remember what we talked about recently? About only talking to the right customer. Not the wrong customer. So they are in your target market. They are a potential customer. And then they have given you permission. You’d have to listen back to find out about permission marketing. Because we do not spam people. All those annoying things in your inbox that you didn’t expect that annoy you. That’s because they are spamming you. If you haven’t asked, and if you don’t know them, you have no relationship, you have never signed up for anything, you don’t know why they are emailing you, they, then you probably haven’t given them permission. We don’t recommend that. 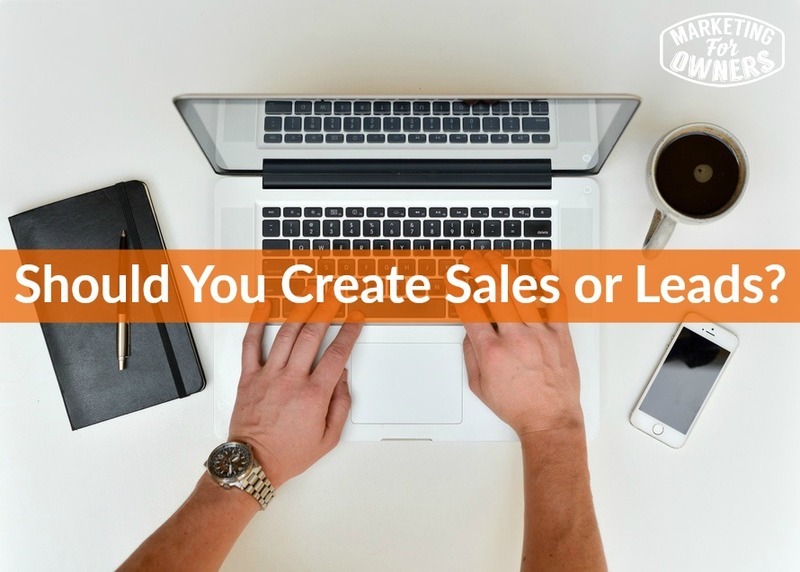 So sales or leads? So once you get people onto a list, so if they give permission, they will be on your list. Generally it’s going to be an email list. But do you stick with people as a lead, or do you try to get them to buy something? There is a difference. And to give you the short answer, you should be aiming to create them as a lead. Not initially as a customer. Let me explain why. This is a busy world. You may not think it, because you, in your business, of probably living within your little box, your business, hopefully you have a why, a reason why people need your product and service for their greater good and how it’s going to improve their lives, not yours. You are doing them a service to help their lives improve. So you therefore probably have to convince yourself that it is amazing. Why wouldn’t anyone want it? What you don’t realize is they have messages coming at them, bombarded all day long. Everywhere. On TV, on Facebook, on billboards, in magazines, just in the post, everywhere. In the mail. Ah. There are many options. Not just for your product, you might think, oh not for mine. But there are many options for their money and time. So they may not be interested in your product and your service. But it’s quite possible that they may not be interested right now. Now of course, you can convince them. You can give them some special offer. Something like a trial period with your software, or your membership or something like that a discount. And then they become a customer. But what happens is they’re not really invested. They were tempted by the offer. You have not given them time to get to know you. They possibly were only just tempted by that offer. In the same way that the way they got on to your list was to sign up for that free email course, or that free eBook, or that free tip sheet, or cheat sheet, or check list, or whatever it was that you gave them for free, in exchange for their email. If it’s really not that appealing, they were just grabbing a freebie. Who wouldn’t? We’ll look at it later. They don’t like to get interrupted. So what I recommend is that you aim to build a longer term relationship. Because if you dive in and get that one sale, they have not got time, they have not taken the time to get to know you. So if they want another one, they might not necessarily come back to you. And the reason you’re getting a customer, believe it or not, is so that they will become a repeat customer. You’re not just getting a customer and that’s it. End of. Done finished. Lot of people make that mistake. But once you got a customer, that’s just one step in the process. The next step is to get them to become a repeat customer, to buy either something again or something else from you. Not from your competitors that may sell similar stuff or to try someone else, or anything. But to buy it from you. Don’t be happy that they bought something. You’ve spent a load of money and marketing and time and effort. Time is money, don’t forget, getting them to buy. You want them to buy again. Now that is very cheap. Doesn’t cost you much or anything at all. Just a bit of effort to get them to buy again. Once you get them to buy again, and get them to that habit, the next step is to get them to make them a regular buyer. This won’t happen if you haven’t taken the time to get them to know you. And then to get them to like you. And then to get them to trust you. If you dived in straight away and got them to trust you enough to pay you a little money. And of course if you got a big high ticket item, a big more expensive item, it’s unlikely to happen. But if you did that, they may test the waters but didn’t really connect. There’s no relationship, there’s no, oh I got what I expected. I was just trying it. I was just trying it, and it cost a bit. I’ll try it. But if you’ve built it up, you convince them you are the authority, you are the place, then you’re going to prevent them going elsewhere. And what in subscription services, so for example, if you joined the Owner’s Club and then didn’t really use it, you just leave. It’s called Churn. That’s called customer churn, in so mobile phone companies, they’ll talk about how many customers they have on their books and the percentage that churn, within a certain amount. How about building a long term relationship so that once they become a customer, they stay a customer. Ah. How cool is that? And that is what Amazon does. You may think, oh no Amazon is just everywhere, and they sell everything, and they’re cheap. No. they’ve got absolutely fabulous customer service. If you have never contacted them through their customer service, is because they do such a good job, you don’t need to. But if you didn’t know, you can actually phone up amazon. They answer your inquiries and they give you whatever you want. They’ll give you money back, they’ll apologize. They are very very good. And that’s why people go back to amazon. Because, either they aren’t making any mistakes in the first place. Or when they do, they rectify them. Great customer service. So they are aiming for you to think they are the one stop store for everything. Now you can see as they are building up. How that is going to pan out. So, if they just dived in with a half price offer, you just bought something, possibility of you going back there? Don’t know. Maybe. Maybe not. Amazon has put an effort out to build a reputation out there. So you don’t necessarily need to build it with you. We are not amazon. You need to concentrate on that customer. You need to work on. So once you get that lead, you need to nurture that lead. And overtime, then at some point or other, because there are lead, because they are interested, they are in your target market, at some point, they are going to need your product. That is when you, when you get them. And then you back up, what you’ve always promised of how wonderful you are. And then they don’t go anywhere. So build, aim for the lead. Build the lead, and go for the longer term relationship. And by the way that does not mean never make them an offer. No. you can make them an offer on day 1. But in a subtle way that makes sense. I can go into a new grocery store and they have 2 for price of 1, or something I didn’t want. Hm, I might want it, but I’m looking at the new store. You can make them a little offer, just don’t make it the whole reason for contacting. Big difference. Okay. So build the lead, build the trust. Provide with them information. Help solve their problems for free whilst letting them know, you also sell an enhanced version. Okay. Anyway its time, its Thursday. It’s time for a Drive time podcast. 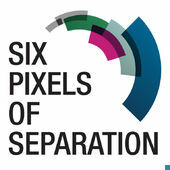 Today we’re talking about 6 Pixels of Separation. You can listen to it on Itunes or on Stitcher. This is by Mitch Joel, company or the website is www.twistimage.com, its actually changing to mirum, so if you go there, I think it says mirum. It’s called the mirum podcast now, changing the company name. Big advertising agency. But when I last looked, it’s a weekly podcast. It is excellent. It’s one of the originals. It’s been brilliant from the start. It’s on episode 500 odd. It’s done every week. So workout how long he’s been around. Really is fabulous. Great interviews. Extreme high production. Well worth your time. Most people, once they listen to 6 Pixels of Separation will stick with it. Covers all subjects. Go try it. Mitch Joel. Fabulous guy. Anyway, tomorrow, Friday. Ones to Watch series. So check out the interview tomorrow. That will be a stunner. Then have yourself a good weekend. I’ll be back with some more tips on Monday.